With a total area of 4 hectares, Akilia vineyards are divided into three parcels, Villarín, , Fontairo and Valdesacia, clearly differentiated by the orientation and the typology of the soil. The vineyard has a plantation density of 4,400 plants/hectare of Mencia and Palomino fino, with a plantation framework of 1.5 meters by 1.5 meters, pruning in tree, and is divided in two slopes with an age of 75-112 years old. 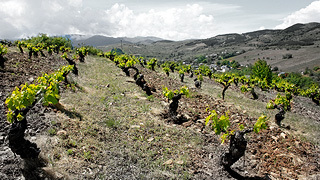 Villarín: 1Ha of 92 years old vineyard located on an east facing slope with sandy loam on quartzite and slate soils. 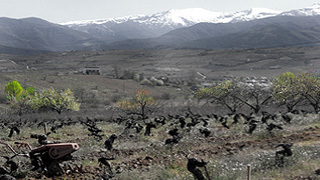 Fontairo: 2.5 ha of 75 years old vineyard located on a west-facing slope with loamy clay soils over slate. Valdesacia: 0.4 ha of 112 year old vineyard located on a slope facing north on quartzite soils. The management of the vineyard was made rationally, trying to understand and respect all times of the biological processes that allow a sustainable development of the vineyard and its useful natural habitat.